“The man who was portrayed as the saviour of the nation five years ago has destroyed the livelihoods of millions through his policies,” it said. 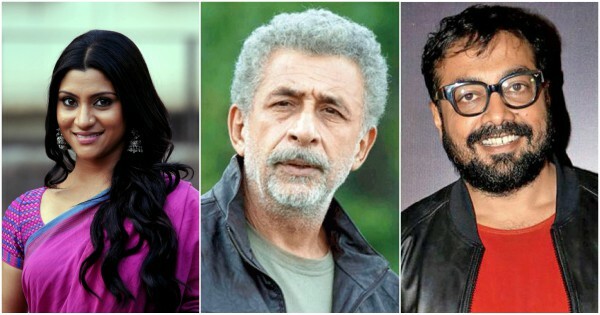 More than 600 artists from across the country, including Naseeruddin Shah and Anurag Kashyap, has issued a joint statement asking the voters to vote against the Bharatiya Janata Party and to help safeguard the Constitution and our syncretic, secular ethos”. The statement which came out on Thursday appeals to “vote bigotry, hatred, and apathy out of power”. “Theatre makers in India have a long and proud tradition of standing against forces of religious sectarianism, chauvinism, narrowness and irrationality… We have imagined a secular, democratic, inclusive and just India,” they said in the statement. Of the 616 artists signed in the statement include Amol Palekar, Dolly Thakore, Lillete Dubey, Abhishek Majumdar, Anamika Haksar, Konkona Sen Sharma, Navtej Johar, MK Raina, Mahesh Dattani, Ratna Pathak Shah and Sanjna Kapoor. The statement was released in 12 languages. “Vote to empower the weakest, protect liberty, protect the environment, and foster scientific thinking,” it said. The statement also speaks on the “free rein to Hindutva goons” that smashed this country’s secular image. “The man who was portrayed as the saviour of the nation five years ago has destroyed the livelihoods of millions through his policies,” it said. Earlier, a group of filmmakers and another group of Indian writers too issued similar statements, appealing to citizens to vote the BJP out of power and to vote out hate politics.